A new concept, an industry changing, internet based, participative audio-visual entertainment company. Carl Icahn: Master of the Universe Time Magazine Cover Story, December 19, 2013 "Master of the Universe: Why Carl Icahn is the most important investor in America".Portion of the article follows... ...he (Icahn) thinks there are plenty of corporate business models that will continue to be disrupted by technology, from auto components to the movie industry. "Before the advent of all this stuff with Netflix and streaming, it was tough to put together a group of five smart guys and do a movie for a massive audience without a huge distribution network. 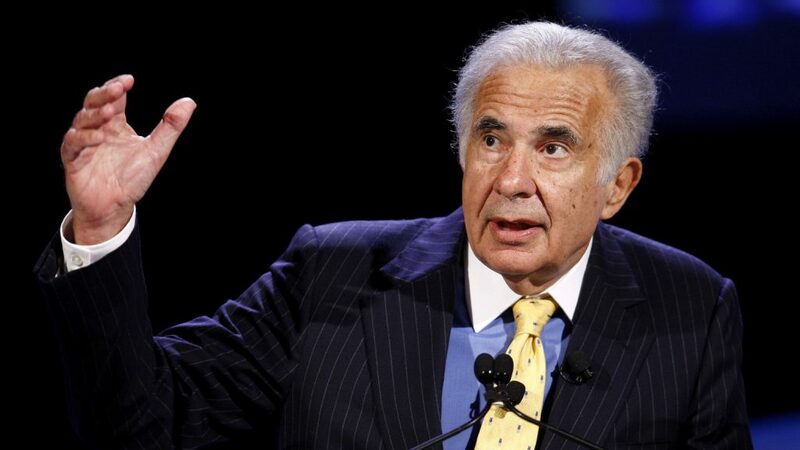 Now you can," Icahn says. "There is great opportunity for someone there." We are that someone. Please peruse our website and decide if you agree. No one has done what we seek to accomplish. We will be the first fully participative audio-visual entertainment company. What does 'Fully Participative' mean? We are adherents to the principles of wikinomics first described in James Surowiecki's 2005 seminal book, The Wisdom of Crowds: Why the Many are Smarter than the Few and how Collective Wisdom Shapes Business, Economies, Societies, and Nations. Surowiecki cites many examples where collective judgment proved superior to expert decisions. Derivative wikinomics texts suggest film making as a good application of collective judgment. But, to date, no one has done it. Free Website. Our members select the script, director, and cast for each production. Every script and audition we receive will be treated the same. Member volunteers screen initial applicants to come down to a top three or four which are voted by our members at large. Members are encouraged to submit scripts, auditions, and music to us for consideration in our productions. All submissions considered will be from members. Our selection criterion is simple. We want the best regardless of source. To get the best, we will treat every applicant alike. Our objective, with every production, is to be the best ever and we can only have top entertainment by finding the best script, director, and cast available for each project. FlixPik is your unique opportunity to show your gift to the world. If you have a 'winning' script, can creatively tell a story with dialog and visual images, are 'right' for an acting part, want to suggest makeup, costumes, sets, film locations, ... just join as a member, it costs nothing and takes little time. And then submit as often as you want. Writers will particularly love us. $100,000 for a winning script. With one new film per month in the popular genres, we have neither the time nor inclination to revise a script before filming. For actors and directors, each new film is like an open audition. And it does not matter where you live. Initial films will be in English, but, as soon as we can, we will expand into all major language markets with films in Spanish, Chinese, Russian, Arabic, Portuguese. ... to provide audio/ visual entertainment to our members in their native language and culture. Our revenue model is simple. Members purchase downloads and streaming of audio/ visual entertainment they helped create. Our members are our audience and primary revenue source. 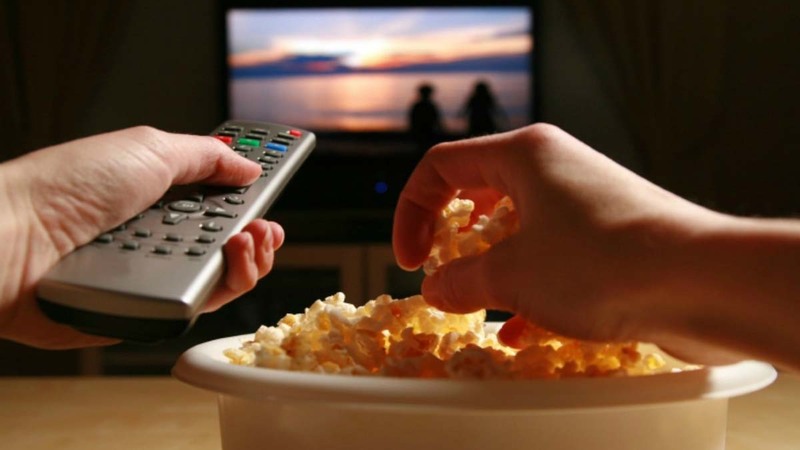 Television viewers increasingly record favorite entertainment and watch it on their computers, hand held devices, and television sets. Netflix is the dominant audio/ visual entertainment distributor. We have entered the ‘Neflix’ era where viewers watch what they want where and when they want from the internet. As a consequence, Netflix, Amazon Studios, HBO GO, Showtime, Hulu, the film studios, … are lining up to produce ‘content’ for rapidly growing internet entertainment demand. And they are mostly using name actors and costly production of current film making. FlixPik, when fully operational, with a dozen or more worldwide participative film production units, each producing one new film per month, will produce more than all current competition combined. And, if we stick to our ‘best available’ selection procedure, we will produce better content than our competition. FlixPik will be the first fully participative film making company. But, audience participation film sales is not an unproven concept. 2006 Snakes on a Plane, which will be discussed in the Investment Page, was an imperfect participative film demonstration but, nevertheless, succeeded in being top seller when released to DVD. Participative film making differs radically from the traditional film making model, but is, at the same time, a return to basics. If you want to produce a high quality film, you gather all applicants for script, director, and cast parts and select the best available as determined by your intended audience. That is the essence of participative film making. We have experienced and accomplished managers in each key skill area. Tim is our founder and will serve as CEO and Board Chairman. He is a long time business executive having served as Product/ Marketing Manager, Assistant to the President, Director of Plans, Division Manager, and Vice President of companies in the oil field service, aircraft manufacturing, and telephone equipment manufacturing industries. He is a serial entrepreneur having founded and managed two technical ventures in polyurethane manu-facturing and telecommunications equipment installation. Tim finished his career as a management consultant where he completed over thirty projects. Bryan will serve as our executive producer, a position for which he is well qualified. He started his career working for 20th Century Fox and Warner Brothers in their set design departments. His film production experience includes feature films, movies of the week, Fox Sports, talk shows, and sitcoms. In 2000, Bryan founded Three Springs Productions. He has produced and directed music videos, television projects, and film shorts. In 2003, Bryan produced and directed the feature film Loco Love which had a national theater release. Loco Love won three awards at the High Definition Film Festival including Best Feature Film, Best Direction, and Best Cinematography. Jonathan is our Marketing Director and has an outstanding record of creating a website and rapidly bringing new members to the website. He launched Slacker, a digital internet music website. During four years as head of marketing, Jonathan increased iRiver revenues over 100%. He initiated partnerships with brand and category leaders SONY, Microsoft, Blackberry, and MTV Networks. Based on his success in launching new products and websites, Jonathan currently serves as a consultant to startup and early stage companies. Hemant’s company will serve as our IT Manager. After a successful career with ECMI, i2 Technologies, and McKinsey & Company, he founded Synerzip Corporation, an Indian-American company to provide software and IT support to small and mid-sized technical companies. Hemant is a specialist in Agile Software which allows new and evolving companies to adapt their software and IT needs as they grow. As testimony to their customer service, Synerzip has been a Inc 500 company for several years. Gary is our Public Relations Director. Before forming his agency, Forty Three Public Relations, he served as vice president of a large Silicon Valley technology public relations firm where he conducted campaigns for Cisco Systems among others. At Forty Three, Gary managed campaigns for Slacker, Smith Micro, and Qualcomm. He and Jonathan, together and separately, have launched several successful internet startups. Steve is the ultimate Renaissance Man. He currently is Director of Hewlett-Packard’s Media and Entertainment Groups and is Section Manager for the Society of Motion Picture & Television Engineers (SMPTE). He is a Visiting Lecturer at the USC Marshall School of Business. He earned a Primetime Emmy Award and holds seven US patents. Steve is a screenwriter and film producer. We are very pleased to have him as an adviser and director when FlixPik is funded. Sal Locurto is a cable television veteran who currently serves as Senior VP Development & Original Series at Fuse TV. Earlier, he served as VP Programming, Rave HD; Senior VP Marketing, WireBreak Entertainment; VP Marketing, Warner Brothers; and VP Music Programming at MTV. He was a media consultant to Rainbow Networks, Zap2it.com, and Universal Studios. Sal adds considerably to our entertainment management experience as an adviser to FlixPik and director when we are funded. Michael Beans joined us as our Independent Film Director where he will oversee independent film purchase and rating for our members. He currently serves as CFO at Intelligent Films, Executive Producers at The World of Kohr International and the Creation Factory International. Michael will add film rating and investment opportunity to our members’ film creation experience. Matt is a top Hollywood lawyer, deal maker, and adviser with forward thinking organizations including Pluto TV, Mobile Roadie, Live Matrix, Egal, Yari Film Group, and others. We are pleased to have Matt on our team as attorney and adviser. Krishan Kant Updadhyay is a Mumbai based, Indian resident. He has fourteen year background and accomplishments in e-Commerce, social media marketing, digital media, online content strategy, search engine marketing and revenue expansion activities. For Flixpik LLC, Krishan will serve as Assistant to the President where he will provide liaison for our member development and IT support groups. We project India as our first step out and Krishan will head funding and organization of our Indian subsidiary. Moshood works as Quality, Health, Safety, and Environment Coordinator for Albasma Nigeria Limited, an independent contractor for Total Nigeria, PlC. He is a graduate of the University of Lagos, Akoka with a BS in Electronical/Electronics Technology. Moshood seeks to bring viable ventures to Africa and came to our attention as someone who can help expand FlixPik operations to Nigeria and Sub Saharan Africa. He will serve as an Assistant to the President and assist in launching FlixPik in Austin. Mark is a veteran international marketing consultant with over 40 years advertising and strategic marketing work. He has thirty years experience in the Asia Pacific market and most particularly China Mainland, Hong Kong, and Taiwan. Mark is an ebusiness marketing specialist with clients including BAT, Cathay Bank, Heineken, Hong Kong Bank (HSBC), MetLife, Mandarin Oriental Hotels, and Shell. We are pleased Mark is an adviser to FlixPik. Valluru Harsha of Hyderabad, India has been appointed our financial advisor. He works for a Singapore group with $25 billion in hospitality ventures worldwide. Mr Harsha is knowledgeable in bank instruments and trading monetization. He has found funding for $600 million global projects over the past two years. Valluru Harsha earned a BSc degree in Electronics from Andhra Loyola Gollege, Vijayawada, India and MSc degree in Electronics from Barkatullah University, Bhopal, India. He began working for the First Government IT Company of India and later served as a SAP Consultant. We are pleased to have him working with FlixPik. After the Dot Com Bust and in the poisoned investment climate following the Subprime Mortgage Panic, it is about impossible for a startup venture, like FlixPik, to obtain funding from the venture capitalists who threw money at internet concept deals during the Dot Com Craze. Investment in startup ventures is inherently risky, particularly for an industry changing venture like FlixPik. We will be the first fully participative audio/ visual entertainment company. No one has done what we seek to accomplish. There are unknowns and unknowables in starting a new venture. Experience suggests that most of the unknowns will be negative which is why we must have a strong management team who can deal with and overcome adversity. If you choose your investments wisely, diversified investment in selected startup ventures should yield a higher return over the long term. We plan an exit opportunity for our investors that does not depend on current stock market conditions or proclivities of public buyers. We will sell investor shares to our members at a price equivalent to what a public company would pay to purchase FlixPik. It will allow members to be company shareholders as well as providing fair return to our investors. Nearly all startups offer high upside returns. FlixPik is unique in offering downside risk abatement. No one starts a new venture thinking it will fail. We certainly do not. Nevertheless, failure is a possibility for every company even established firms. The two most common reasons for business failure are underfunding and poor management. With $25 million total investment and our management team, we have the first two causes covered. What happens if FlixPik fails? Our success rests on two fundamental propositions. First, there is a large number of individuals who will participate in creating audio-visual entertainment if given a simple, no cost way to do so. Second, members will purchase completed productions of the entertainment they helped create. If we are wrong on either proposition, we will fail. Regarding a prospective member base, every indicator seems pointed toward increasing consumer input to their entertainment and it is a worldwide happening. That someone would want to see the final version of what they helped create just seems logical. Especially if we include the member's name in the credits of the products they purchase as we plan to do. We can organize our early films as general partnerships or subchapter S corporations and pass back tax deductions to our investors who may be individuals or businesses. 1. 100% of filming costs are deductible in the same year as the investment. 2. 75% of the filming must be completed in the United States. 3. $15 to $20 million production cost cap and no minimum. 4. TV pilots, up to 44 TV episodes, shorts, music videos, and feature films all qualify. 5. Section 181 applies to active and passive income. 6. Section 181 is retroactive. 7. No expectation for film completion or distribution. 8. We issue Schedule K-l to our investors so they can use the tax deductions in their personal or business tax reports. Tax rebates and incentives for money spent on film or television production within a particular state combined with Section 181 benefits allow an investor to significantly reduce his or her investment risk. For example, if an investor is in a 35% tax bracket and a qualifying audio/ visual entertainment production is filmed in Michigan which has a 40% tax credit, an investor will be eligible to recapture 74% of their investment. The recapture is realized before the film is released. For this discussion, we will assume the worst outcome. $25 million consumed with no appreciable member base and member purchases. If we see that we are not able to bring in substantial members, we will cut back on costs, primarily what we spend for new films, and stretch our investment out to over one year. At the end of the first year, we will have two films completed and a third nearly complete. We will offer these 'audience participation' films to distributors for public sale. We have reason to believe that audience participation movies will sell well to the public. In 2006, the producers of Snakes on a Plane (SoaP) decided to take input from the public after filming was 95% complete. Nevertheless, SoaP got an internet buzz as an 'audience participation' movie. With $5.2 million to publicize FlixPik as a participative film company and quality, 100% audience participation films, we expect better sales in download and steaming than SoaP generated in DVD sales. In other words, we will sell our three films for all we can get and even after deducting distribution costs, we believe we can recoup investment even under the worst failure we can imagine. We are a startup venture. No one has done before what we seek to accomplish. We do not have a prior operation on which to base our financial projections. We may do better than plan. We may do worse. Highly unlikely we will hit our projections exactly. But, still, investors should know our objectives in forming FlixPik and on what we base our projections. The following is a summary of how we made our financial forecast. To accomplish our member growth and retention goals, we must have an active website which to us translates to one new film per month with the series of selections, daily film reports, music addition, editing, .... that go with each film to engage our members. An accepted 'rule of thumb' in the film industry for a quality film without name actors and costly special effects is $3 million and that is our continuing objective - quality films. Participative audio-visual entertainment has been ignored by the film industry. But, once we establish the viability of participative film making, we anticipate competition from many sources. It is important we get off quickly and obtain a dominant market share before competition comes after us. To us, that means front end marketing at over $5 million. Add these elements - new film per month, $3 million per film, and $5.2 million for 'shock and awe' marketing - and we require $25 million funding. We have matching funding offers which will allow us to match initial $5 million funding with $20 million debt to obtain the needed $25 million funding. We can back off the desired elements - new film every other month, $1 million films, and do heavy marketing when we have cash flow - and the numbers drop to $15 million or $8.5 million, but $25 million gives us our best chance to be successful. Our company will be guided by Management by Objectives principles. A basic of MBO is to set out where you want to finish and work back to what you must do to get there. Our overarching objective is to build a large, growing, profitable website. To accomplish that goal, we must have an attractive website that engages and retains our members. To be successful, a large number of active members must join in creating our entertainment and a significant portion of members will purchase downloads, DVDs, and streaming of the entertainment they helped create. Rather than inventing numbers, we used a smoothed out replica of the first year growth of Flixster, a member based website for film fans, We believe our website will have more to engage members, but did not enhance Flixster's first year growth in our forecast. We, conservatively, estimate member purchases at 5% to 10% of member base although we expect a much larger percentage of members to engage in creating films with us and buying downloads, DVDs, and streaming of what they helped produce. We consider web advertising as a secondary revenue source and estimate the web advertisement broker fee at 15% of sales and web advertising sales at $10 per million pages read which are current industry norms. We do not anticipate hiring more than fifty full-time employees first year per operations location. Like other film companies, we will hire part-time employees and many contract employees. In fact, we expect to hire about twenty part-time script readers at $2,500 per month each and over 300 contract cast and crew employees annually. Costs for insurance, facility rental, utilities, and other corporate expenses come from past experience with other companies. We loaded first year web development and maintenance costs in at $0.64 million and webhosting at $0.564 million first year and increase as traffic increases. In our first year, we plan to produce shorts, offer access to our members for independent film producers, and open up other sales opportunities,. We included estimated costs but not revenue from these expansions in our income projections. For our films, we project ten months from start to completion and sale of streaming and downloads. 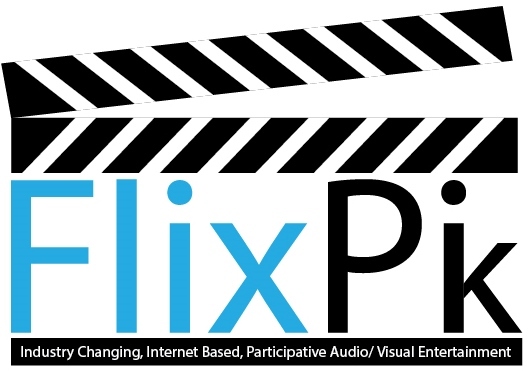 FlixPik will offer individualized downloads and streaming to our members. It is an existing technology but not used in mass as we will. Members who sign on, and pay in advance, for each new film will have their name listed as a Producer on a single frame credit for each film in their purchases. All members will have individual credit as Associate Producer on each film they purchase. We will aggressively sell website advertising as our active membership grows. Did we overestimate or underestimate? Flixster membership and revenues slumped after the first two years which will happen to any revenue generating website that fails to engage its members, Jonathan Sasse, our Marketing Director, took a member based startup website from zero to over 8 million members in three years. He likes our concept and we are confident he will do it for FlixPik. At eight million members, our profit goes through the roof. We are eager to get funded and give Jonathan the opportunity to bring members to FlixPik.